Cold Fusion Guy: Minneapolis about to have 1st hand experience of the "laws of supply and demand"
Minneapolis about to have 1st hand experience of the "laws of supply and demand"
The Minneapolis City Council approved a $15 minimum wage Friday, a move years in the making that will affect hundreds of businesses and thousands of workers across the city. The vote adds Minneapolis to a list of cities nationwide, including Seattle, San Francisco and Washington, D.C., that have approved similar measures in recent years. 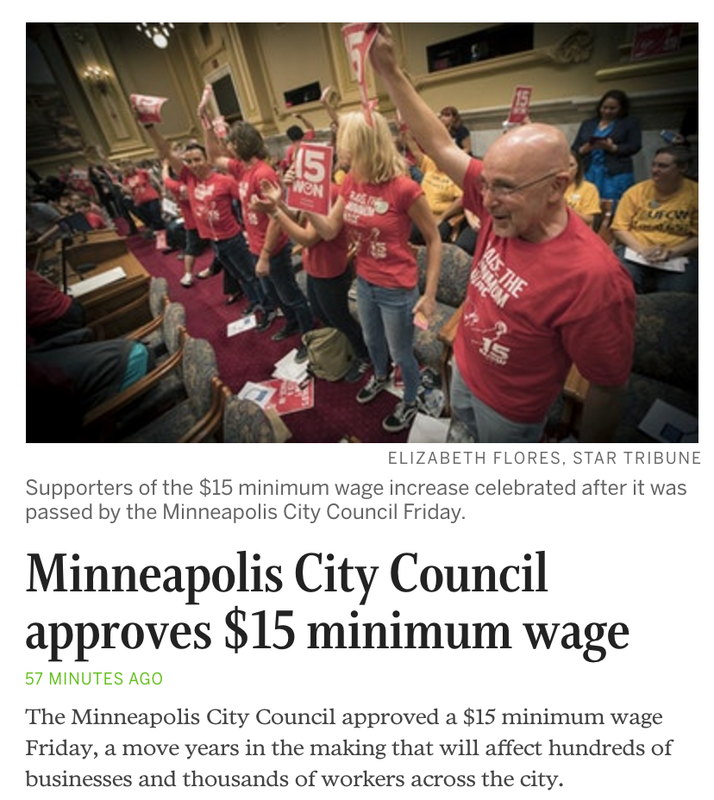 The $15 minimum wage will be fully implemented citywide by 2024, with a faster phase-in for large businesses — those with more than 100 employees. Only Council Member Blong Yang voted against the ordinance. 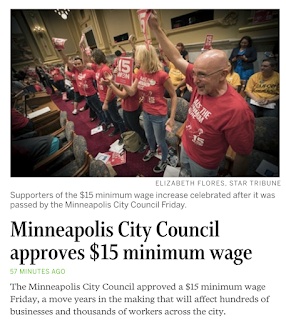 Before the vote, he read a statement listing his concerns about how a $15 minimum wage might negatively affect his north Minneapolis ward, including small business owners and entrepreneurs of color and youth workers. The laws of supply and demand apply to labor, too. 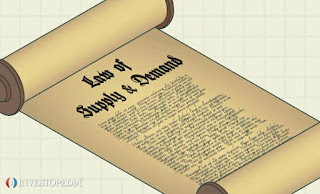 Thanks to a new study from economists at the University of Washington, American progressives have learned that the laws of supply and demand apply to the labor market. Everybody already knew that, except for professional economists. The study, commissioned by the city government of Seattle and published by the National Bureau of Economic Research, found that Seattle’s law incrementally raising its minimum wage — to $13 an hour last year, en route to $15 — resulted in low-wage workers’ earning less money rather than more. This surprised many in Seattle, who had been assured by all the best economists, including Paul Krugman, that such a thing would not come to pass. So, what happened? The short version is: You can pass a law saying you have to pay low-wage workers more, but you cannot pass a law that says you have to hire them in the first place, or that you cannot cut back on hours when the price of hourly labor goes up. As businesses responded to the new higher labor costs by reorganizing their processes in less labor-intensive ways (the classic examples here are the replacement of wait staff with computer screens in restaurants and the replacement of bank clerks with more sophisticated ATMs), the law that was supposed to increase low-wage workers’ incomes actually reduced them — substantially, by an average of $125 a month. 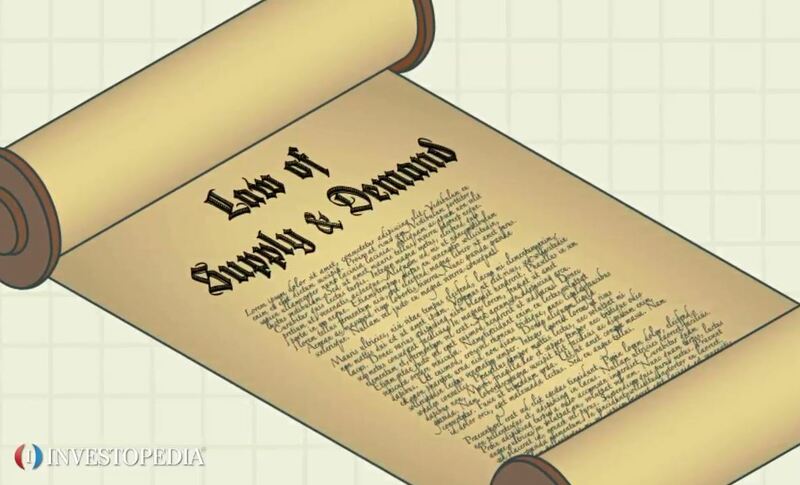 The first lecture in Economics 101 is that supply and demand interact through prices. (And a wage is a price — the price of labor.) Producers will produce more of any given product at a higher price, and consumers will consume less of it at a higher price. At some point, producers’ preferences coincide with those of consumers, and that is the market price that emerges. That’s a rough model, of course, but it describes the basic reality of how commercial transactions actually happen. When Economics 101 tells you something you don’t want to hear, the thing to do is to commission a study. As Ronald Coase observed: If you torture the data enough, it will confess to almost anything. For progressives desiring to raise the minimum wage in spite of the consequences predicted by basic economics, that study came from two Princeton economists, David Card and Alan Krueger, who in 1994 compared employment at fast-food restaurants in New Jersey to that of their counterparts across the river in Pennsylvania after New Jersey enacted a relatively modest increase in the minimum wage. The Card-Krueger study found that raising the minimum wage had not cost jobs in New Jersey. There were many problems with the study: It used fast-food employment as a proxy for minimum wage even though most fast-food workers do not make the minimum wage; it ignored workers in other industries, such as hospitality, that might have been more strongly affected; it covered a relatively short period of time; it relied on telephone surveys of restaurant managers rather than on hard employment data. The Card-Krueger study included only a few months’ worth of data from after the time the minimum-wage hike went into effect. Some economists suspected that while fast-food operators were unlikely to simply start hacking away at their staffs in the months following an increase in the minimum wage (which, again, would not affect the wages of most fast-food workers), they would instead change their medium- and long-term plans, choosing less labor-intensive modes of production, substituting capital for labor through automation, reducing hours to make their labor consumption more efficient, etc. And that is, in fact, what subsequent studies found: Restaurants didn’t just start firing people after the minimum wage went up, but the wage hike did significantly reduce future job growth and labor consumption. The Seattle minimum wage experiment failure poses the question for other cities: which do you love, the poor or your praise?